There are certain works that are so very familiar that we tend to take them for granted: we think we know them even though, in many cases, we don’t. Jane Eyre is one such work. I read it when I was 13, and haven’t revisited it since – although that hasn’t stopped me from pontificating on it as and when the occasion has arisen. So I thought it might be pleasant to re-acquaint myself with this book, so that, at the very least, when I next pontificate on it, I know what the hell I’m talking about. And the Christmas-New Year break seemed the ideal time. This is a time when one wants to read something if only to get away from what passes for festive cheer on television; and, while one doesn’t want to read tripe, neither does one necessarily want unduly to tax the intellect. Or, at least, I don’t: some people may positively welcome the idea of settling down after a heavy Christmas dinner with a copy of Spinoza’s Ethics, but, intellectual lightweight that I no doubt am, I am not amongst them. Not that Jane Eyre makes no demand on the intellect, I hasten to add: as with any book worth reading, the brain should be in at least some sort of working order if one is to take it in adequately. But, as in so many things, there are different shades of grey between absolute black and absolute white, and Jane Eyre, I imagined, occupied a position on this spectrum ideal for a good holiday read. And when that holiday is spent in the north of England, only some thirty or so miles from Haworth Moor; and when, in addition, a bitter and keening wind howling outside almost continuously places the Gothic firmly in one’s mind; then the Brontë sisters do seem ideal companions. 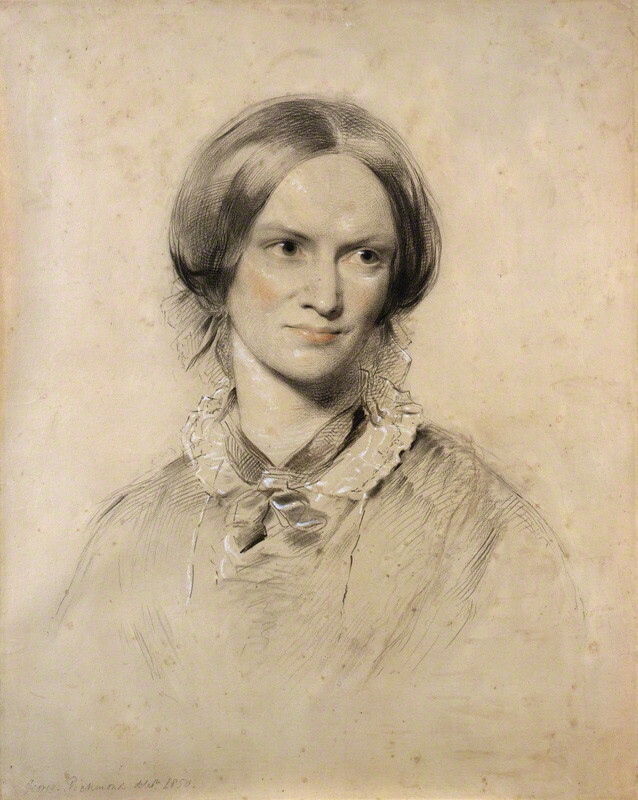 It is hard to imagine a time when Jane Eyre will cease to be popular. No matter that the position of women within society is now quite different to that depicted in the novel; no matter that the moral imperatives that drive Jane’s actions have largely fallen by the wayside; the story itself hits upon a number of what one may call “archetypes”. It encompasses the archetypes of the Cinderella story (the wicked stepmother and the ugly stepsisters are easy to identify; a dissolute step-brother is thrown in also for good measure); and also of the Bluebeard story, with the inquisitive wife discovering her husband’s terrible secret behind a locked door in his castle. And many other myths too, I imagine. Not surprisingly, a story that hits upon so many mythical elements is bound to spawn many others: a full list would be tiresome, and, since I am not well read in stories of romance, it would be beyond me to compile such a list in the first place; but, apart from Daphne du Maurier’s Rebecca, which is a conscious homage to the earlier novel, one may note works as diverse as the Sherlock Holmes story “The Copper Beeches”, which features a governess in a mysterious house and a terrible secret behind a locked door; and Henry James’ The Turn of the Screw, in which the governess, her unspoken love for her employer frustrated by the latter’s absence, finds instead, as a sort of diabolical compensation, spirits of the most unspeakable evil. And one may also cite in this context Ibsen’s Rosmersholm, which also features an outsider entering a house, displacing the mistress of the house, and winning the affections of the master. Sigmund Freud, in his essay “Some Character-Types Met with in Psycho-Analytic Work”, analysed the character of Rebecca West in this play, and identified this displacement as a powerful archetype; he may have added – although he didn’t – that this archetype had already appeared, very powerfully indeed, in Jane Eyre. I’ll leave it to those more familiar than I am with the principles of psychoanalysis to carry out a Freudian analysis of Jane Eyre: I’m sure they’ll find rich material there. What interested me more was the moral framework of the novel. For Jane, despite her often overwhelmingly passionate nature, undertakes here a moral journey. In a sense, Bunyan’s The Pilgrim’s Progress seems a sort of antecedent to this novel: it belongs to the same Puritan tradition. Jane’s painful travel to the Celestial City is punctuated by two great temptations, in each of which she has to pit her moral conscience against her own desires. The first of these temptations, of course, is the temptation to become Mr Rochester’s mistress when it becomes clear that she cannot marry him: while it is true that Jane doesn’t even pause to consider Mr Rochester’s offer, her intense passion for Mr Rochester, her hurried and secret escape from Thornfield Hall, and a state of mind so disturbed that she forgets to take anything with her that might have sustained her in the wilderness, all indicate that the decision to resist this temptation is not one easily made. But it is the second temptation that I find even more interesting: it is a subtler temptation than that of merely gratifying one’s desires – it is the temptation of sainthood. Over the years, I have been in the habit of saying that Jane Eyre is let down by the final section; that, after Jane leaves Thornfield Hall, the novel slows down at the very point when it should have been accelerating towards the end. I think I said this because when I last read this, inexperienced as I was in reading serious novels, this part of the novel had bored me. And it may well have been that I had skipped some passages. Reading it now, some forty years later, it seems to me that Charlotte Brontë has superb control over the pacing; and that, furthermore, the entire sequence involving Jane and St John Rivers is a high point of the novelist’s art. For St John Rivers is more than merely a foil to Rochester: he is a fanatic. If Jane has sacrificed her desires for the sake of her moral code, we see St John Rivers doing the same – except in a more extreme, more fanatical manner: so single-minded is his moral purpose, that he does not allow his mind even to become perturbed by his rejection of Rosamond, to whom, it is made clear, he is attracted. And he tempts Jane: he tempts her not with desire, but with the opportunity to achieve sainthood by jettisoning the last remaining elements of her desire; to carry her own sense of moral purpose even further than she already has. He tempts her to renounce completely any earthy desire she may still have. …but I cannot be so blest, after all my misery. It is a dream; such dreams as I have had at night when I have clasped her once more to my heart, as I do now; and kissed her, as thus–and felt that she loved me, and trusted that she would not leave me … But I always woke and found it an empty mockery; and I was desolate and abandoned–my life dark, lonely, hopeless–my soul athirst and forbidden to drink–my heart famished and never to be fed. Would I appear very sentimental if I were to say that I find these lines wonderfully moving? Very well – sentimentalist I am. Could anything be further, I wonder, from the infinite melancholy of Mr Rochester’s longing for the lost Jane? Unlike Jane Eyre, Wuthering Heights makes no appeal to our compassion: instead, it appalls. And it seems to me quite unique. That is an adjective we often apply to works that are merely distinctive, but here, I think this adjective is justified; for while, when thinking about Jane Eyre, all sorts of other works can come to mind, from Milton’s Samson Agonistes to Ibsen’s Brand, I cannot think of a single other work that sheds light on Wuthering Heights, either as a parallel or as a contrast. It is out on a limb, quite distant, as far as I can see, from any of the main trunks of literary traditions. Yes, it appalls, but so extraordinarily vivid is the imagination, and so brilliant its unorthodox craftsmanship, it also enthralls. I am usually uninterested in authors’ biographies: I do not believe they tell us more about any work than we need to know, and that, further, should we succumb to the temptation of allowing what we know of the author to influence what we think of the work, we are likely, I think, to be led astray. But it’s hard not to wonder what the personalities of these sisters may have been. Perhaps I should overcome my aversion to literary biographies and reach for Juliet Barker’s much acclaimed biography of the Brontës. I don’t know to what extent the personalities of the sisters may be gauged from the portraits. 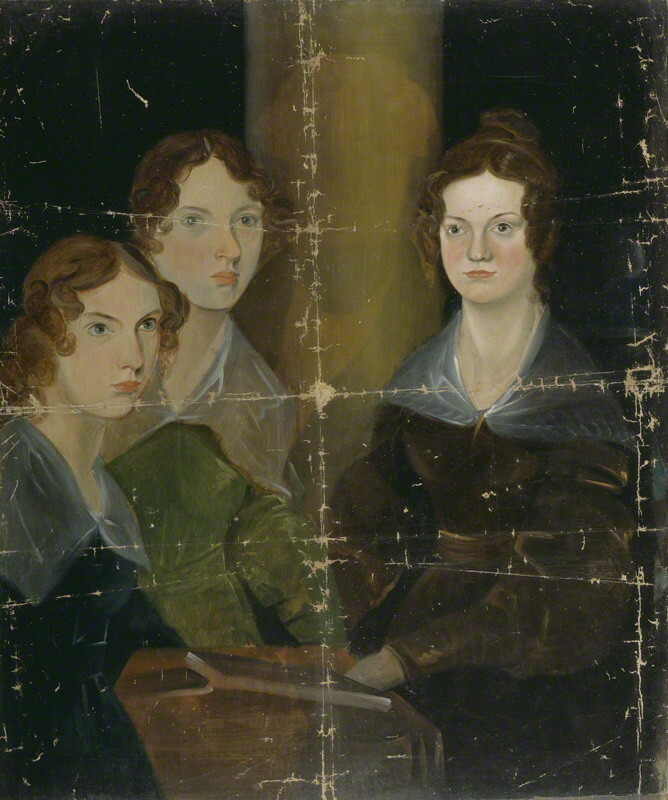 In Branwell Brontë’s famous group painting of his sisters, Anne, on the left, strikes me as a bit querulous and restless, while Charlotte, on the right, is a stolid, matronly, and somewhat severe figure. But of Emily in the middle, I can make nothing at all. Rather surprisingly, given that Branwell was a professional portraitist, she doesn’t even seem very well drawn. There is a later portrait of Charlotte by George Richmond, but it is clearly an idealised version: not a beautiful face, perhaps, but quite a pleasant one I think, and, though not quite as severe as she appears in Branwell’s group portrait, nonetheless giving the impression of someone with a considerable strength of character. But it’s hard to say much from so sanitised a portrait as this. There exists also another portrait by Branwell of Emily. Here, she is presented in profile, with no expression discernible in her features. As a consequence, she appears remote and distant, her personality inscrutable. Given how unsuccessful Branwell had been in capturing any kind of personality at all of Emily in the group portrait, this is possibly a sensible way of painting her; but what we have here is a sort of icon rather than the depiction of a personality. From the internal evidence of her only novel, all we can really infer is that hers must have been a strange personality indeed: perhaps that personality was too elusive for Branwell Brontë to capture.But whatever the personalities of the sisters, the last two weeks spent in their company have been quite fascinating. I must do this more often. The latest film adaptation of Wuthering Heights casts a black actor as Heathcliff, and I, for one, can’t help wondering why this hasn’t been tried out before. In the novel, Heathcliff’s racial origins are not specified, but the indications that he is different, possibly racially different, can hardly be missed. He is referred to throughout as “dark”: admittedly, that does not tell us much, as many white Anglo-Saxons can also be described as having a “dark” complexion, but Mr Earnshaw’s description of him – “as dark almost as if it came from the devil” – does suggest that his skin colour was conspicuously different from that of the others. When the child is first brought into Wuthering Heights, he is described as speaking “gibberish”. This could, indeed, be Romany (Heathcliff is taken by many readers to be of gypsy origin), or it could be a foreign language: we cannot be sure. But, rather interestingly, the child is initially referred to as “it”: Nelly only starts referring to Heathcliff by the pronoun “he” after he, it, is christened. That Heathcliff, right from the start, was seen very much as an “other”, as “not one of our kind”, seems inescapable. Later in the novel, Nelly Dean says to him: “Who knows but your father was Emperor of China, and your mother an Indian queen?” Nelly may not have known how Chinese people differ from Indian people physically: if she had, she would not have suggested that Heathcliff could be of Chinese or of Indian descent. But her speculation does seem to suggest that she saw Heathcliff as physically different, very different, from the others. Of course, it may be objected that if Emily Brontë had intended Heathcliff to be black, she would have told us so openly, but I don’t think this holds. 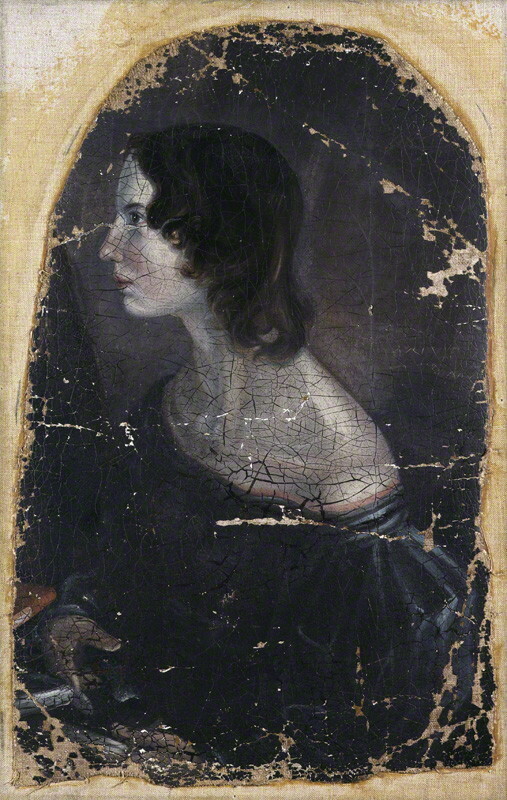 In the first place, Emily Brontë tells the story through voices other than her own; and in the second place, this is a novel in which large gaps are quite deliberately left in the narrative: if Emily Brontë is happy to leave unspecified even so important an aspect of the plot as the source of Heathcliff’s wealth, why should we expect her to be specific about such matters as Heathcliff’s race? We shouldn’t really be surprised that Heathcliff’s racial origins are not made specific in the novel. The characters living in this isolated part of the country, and in that age, would not have been familiar with anyone outside their own racial stock, and would have been unlikely to have had the vocabulary to describe people of different races to any degree of accuracy. I don’t know that we can expect even Mr Lockwood to describe racial differences accurately. But in any case, Heathcliff’s exact racial origin – gypsy, Indian, or black – isn’t really so important: what is important is that he should be different from the others, and be seen as such, both physically and in other respects. I haven’t yet seen the latest film. Of all the classic 19th century English novels, Wuthering Heights has, perhaps, fared the worst in adaptations: even the famous William Wyler film featuring Laurence Olivier and Merle Oberon, fine though it is in its own right, hardly reflects the intensely violent and disturbing nature of Emily Brontë’s work. Whether this latest version will succeed better than its predecessors, I do not know. What worries me is not that a black actor has been cast as Heathcliff, but that they’d make too much of the racial difference, and make it a drama specifically about race: but I hope I’m wrong. For, despite the countless adaptations that have been made to date, there is a good film – perhaps even a great film – still to be made from Wuthering Heights. But such a film will have to forgo romance; be brave enough to allow its leading lady to die half way through; and look unblinkingly into the dark, demented heart of this extraordinary work.